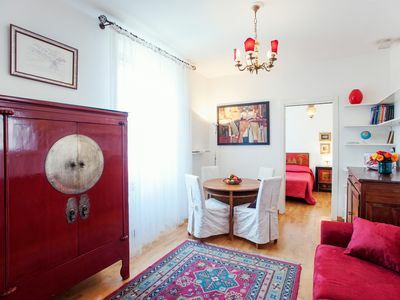 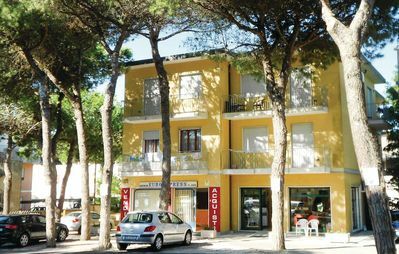 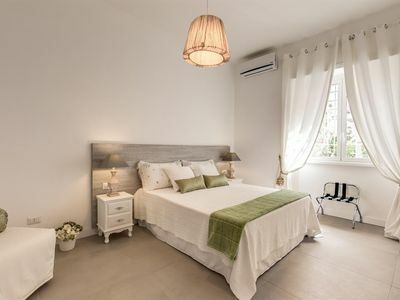 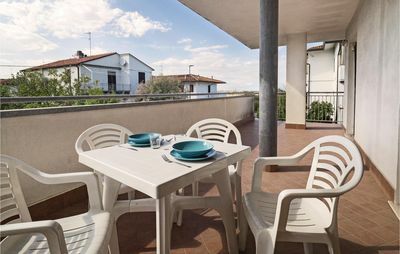 composed of two double bedrooms and one single bedroom, sheets and towels available, a bathroom with shower, washing machine, hairdryer, kitchen equipped with dishes, coffee machine, oven and microwave, living room with TV, sofa, sofa single bed and a half, radio and two verandas. 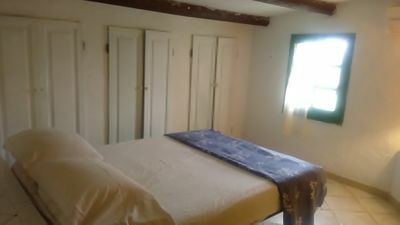 Bathroom with washing machine and phone. 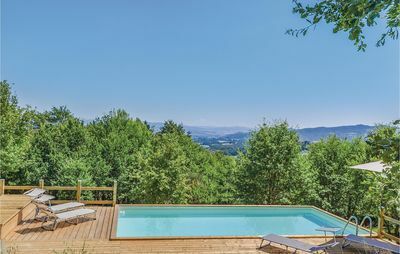 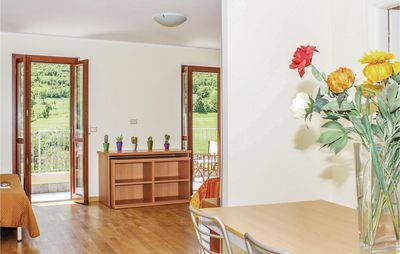 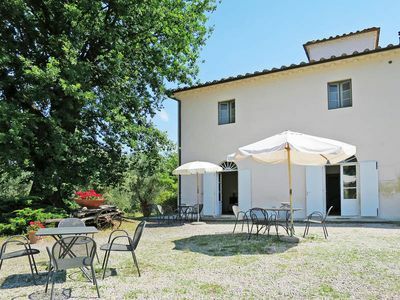 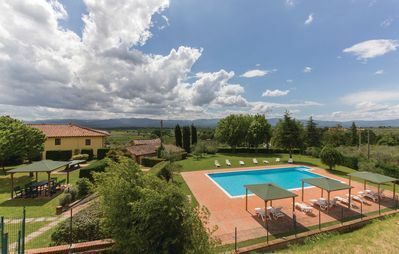 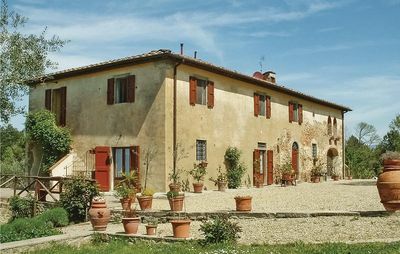 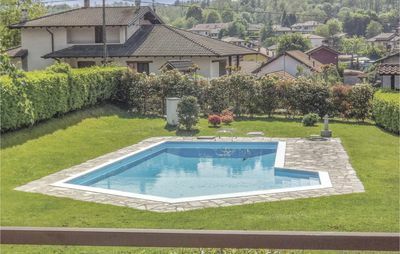 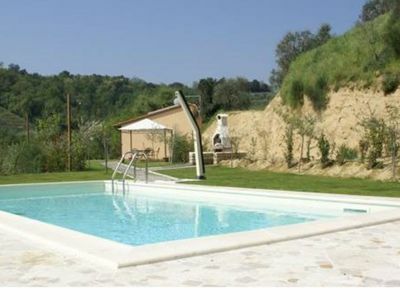 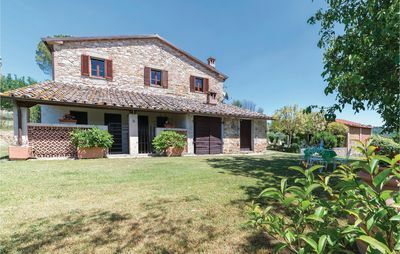 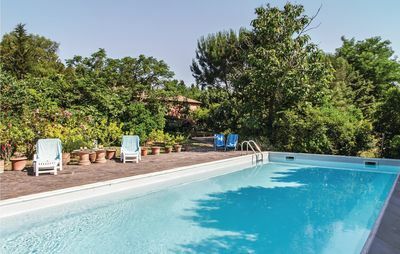 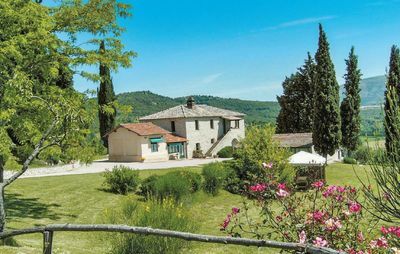 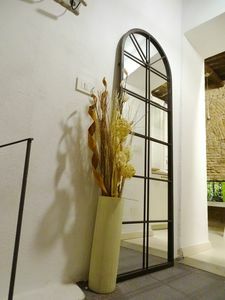 Casa Cervognano, small house with private pool and surrounded by a beautiful landscape of olive groves and vineyards, is situated on a hill, about 3 km far from Montepulciano.